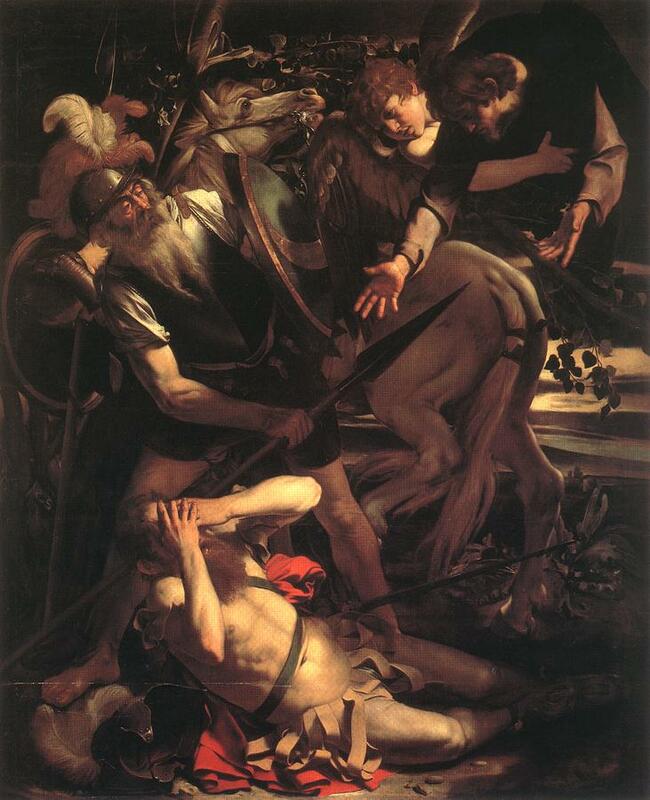 What If?…Paul on the Road to Damascus. Nearly 2,000 years ago, Saul Paulus of Tarsus was traveling to Damascus to arrest and bring back to Jerusalem those whom the Sanhedrin had labeled as Jewish heretics. These Christians were turning the religious community upside down with their claims of a resurrection and Saul was determined to stop them. However, his plan was interrupted by the appearance of the risen Christ. What a shock. The one Paul despised because of the teachings of the apostles in Jerusalem, had now stepped across time and smitten him with blindness and a call to ministry. This man of giant intellectual power and strict obedience to religious regulations would never be the same. Much like Paul, until we are blinded by the love and light of Jesus and stop chasing our self-serving ambitions, we will never hear the Lord’s instructions and purpose for our life. As long as our anger and rage ignites our passions and consumes our actions, we are deaf to the voice of the Lord. Regardless how our actions are ‘approved’ by the modern church or ‘casual believers,’ the Lord alone knows our hearts. He sees us even when no one is around and knows our every thought. He constantly appeals to our conscience to consider the road we are on, and the claims he makes upon our life. What happened that stopped Paul in his tracks? What changed this Pharisee of religion into an Apostle of the Lamb? He did not meet a salesman, a lifeless religious leader, a wild eyed fanatic or a silver tongued orator… He met Christ! The only one who could change his heart from self-centeredness to Christ-centeredness. The only one who could remove the guilt and stain of hate and murder, replacing it with mercy, grace and forgiveness. I often wonder, what if Paul had met someone different on the road to Damascus? What would have happened to his ministry? Would he had forfeited the eternal impact of his life? Let’s think about this and consider. What if Paul had met a Philosopher? He would have become high-minded with the arrogant wings of humanistic reasoning. He would have turned faith into some mental assent rather than an absolute surrender. His speech would have become words of man’s wisdom rather than wisdom from above. Paul, certainly would have written eloquent thoughts on the level of Aristotle, Plato, Hegel, Kant or Kierkegaard. His philosophical writings would have collected dust in the dungeons of ancient libraries. Instead, Paul met the risen Christ. His life was changed and he wrote half the New Testament. His words have been used by God to speak to and change the hearts of millions of people for two thousand years. Thank God, Paul did not meet a philosopher on the road to Damascus! What if Paul had met a liberal theologian? He would have become a natural minded man with some god sounding words. He would have spent most of his time denying the authority of the very book which gives him the right to call himself a Christian. He would have entered the speaking circuit of his day, appearing as the intellectual representative of the faith, while being nothing more than a wolf in sheep’s clothing. He would have taken the ‘heart’ out of the gospel and reduced Christianity to an intellectual exercise of futility. He would have felt important among his fellow liberals as he attempted to explain away the miraculous of the Bible in order to appear enlightened and socially evolved. Thank God, Paul did not meet a liberal theologian on the road to Damascus! What if Paul had met a mean fundamentalist? He would have worshipped the Bible instead of worshipping the Lord. His positions would have became obligatory on every point of theology, allowing no room for diversity. With the Ten Commandments in hand, he would have traveled around the country compartmentalizing the Scriptures to fit his legalistic view of faith. Anyone who disagreed, even on non-essential points of theology, would be castigated and cut off from fellowship, receiving numerous flamed messages posted in every city. He would have become a Christian Pharisee promoting a natural minded view of holiness. Instead, Paul became the Apostle of Grace to the Gentiles. Thank God, Paul did not meet a mean fundamentalist on the road to Damascus! What if Paul had met a ‘faith plus works’ preacher? He would have certainly traveled around the empire with a tub of water, demanding that everyone must be baptized into water in order to be saved. His ministry would have been promoting the works of man by teaching that man’s actions were necessary to merit the grace of God. He and his entourage’ could have been called ‘boyz in the tub.’ Thank God, Paul did not meet a faith plus works preacher on the road to Damascus! What if Paul had met a ‘cheap grace’ preacher? He would have filled up the churches and offered salvation to all who made mental assent to the truths of the gospel. Thousands would have believed in a false gospel, because turning from sin through repentance would have been left out of the message. Antinomianism would have been the norm. Everyone would feel comfortable in the pews, regardless of their lifestyle, because biblical holiness and sanctification would be abandoned. He would have presented a perverted view of love and become a best seller author of a self esteem message. Thank God, Paul did not meet a cheap grace preacher on the road to Damascus! What if Paul had met a ‘word of faith’ prosperity preacher? He would have built a wagon and covered it with expensive linen from Philippi, bought the most expensive horse, hung some stuffed dice off the rear view mirror and had spinner wheels mounted on his wooden tires. Certainly a ‘clergy’ tag would hang off the back of his wagon and his bracelets, chains and rolex watch would be a sign of his apostolic success. Of course his followers would be constantly fleeced by his high sounding words and false prophecies. While his followers lived in poverty, he would live high on the hog with the best the world had to offer. He would have promoted the lies of other false ministers, seeking out the unlearned to manipulate them for his own greed. Thank God, Paul did not meet a prosperity preacher on the road to Damascus! What if Paul had met a luke warm Christian? He would have used Christianity as a fire escape; attending church only on Sunday morning, if he went at all. He would have learned enough of the believer’s lingo to convince others he was a Christian while he lived for himself throughout the week. Materialism and self fulfillment would have been his norm. He would have gone to church three times a year: Christmas, Easter and his mom’s birthday. He would have given those around him a reason to doubt the need for Christianity, because there was no real change in his life. Thank God, Paul did not meet a luke warm Christian on the road to Damascus! Who did Paul meet on the road to Damascus? He met Jesus-the Son of the living God. Emmanuel, the eternal logos. The risen Lamb who died for the sins of the world. The carpenter from Nazareth, who humbled himself to the death of Calvary’s cross. The Holy One of Israel who through his death, dealt a death blow to death, causing death to die! By meeting Christ, Paul clearly saw his sin, his need and God’s provision. Through faith and faith alone, Paul was translated from the kingdom of darkness into the kingdom of God’s dear Son. He met the Master who was fully God and fully man. Never to be the same, Paul’s life changed from being the persecutor to becominng the persecuted. However, for thirty years he fought the good fight, finished his course and kept the faith. And because of this, Paul left a legacy for all of us who name the name of Christ. He was an apostle of the heart set free, a man of velvet steel. Thank God, Paul met Jesus on the road to Damascus! When you and I share the gospel, who do people meet? Do we represent the character of the One we claim to follow? Are we looking to Christ to guide and empower us? Do others see Jesus in us, or one of the other characters we mentioned? For myself, too many times I have failed to be all the Lord wants me to be toward others. I realize we all ‘continually fall short of God’s glory,’ however, we should not use this for an excuse to justify carnality. As we yield to His life, we can offer realness and honesty to those around us. It will not be perfect, but it can be truthful and loving! Oh, Lord, fill us with your Spirit that we may speak the truth in love! Fill us with your power that we may be a living representative of your life. Hide us in your grace, your tender mercies and truth. When we speak, let others meet You on their road to Damascus. For Your Names sake, Amen. In which work of ancient literature do we first find this expression: “…kick against the goads”? If you said the Bible, in which Jesus appears to Paul on the Damascus Road, you would be wrong. This expression was first used in a book of Greek mythology, “The Bacchae”, written by Euripides in circa 450 BC. The expression occurred in a fictional conversation between the god/man, Dionysus, and the king of Thebes, his persecutor. Isn’t it odd that Jesus would borrow an expression from Greek mythology in his appearance to the self-proclaimed “Thirteenth Apostle”? You would only consider it odd because you are ignorant concerning how God speaks to man, and that He uses the language of man to speak to man. “Kick against the goads” was a very common expression within the Greek culture at the time of the Apostle Paul, and everyone was well aware of what it meant. Therefore, the Lord used the expression to communicate to Paul concerning his resistance to God’s call. Therefore, from a theological and biblical standpoint, there is no problem at all.